BIP001 2017 conference took place on the 12 January 2017 in Kiev, Ukraine, a city that is very well known as beeing the biggest Blockchain community in Eastern Europe. 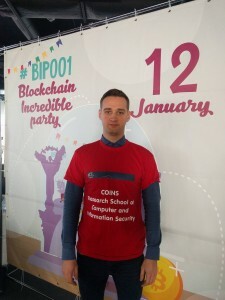 International Conference BIP001 was a focused and compact meeting of blockchain professionals, dedicated to discussing the application of Blockchain technology to existing problems in the society. The aim of the conference was to gather the greatest influencers within the blockchain space and combine several days of serious discussions with excellent networking. COINS supported Dmytro Piatkivskyi to attend the BIP001 2017 in Kiev, Ukraine.